On the 2010 Hong Kong Spring Electronic Products Exhibition which ended on 16th April, the 18.5 to 42 inch LED TV developed latest by our company was unveiled publicly for the first time and attracted a large number of customers’ attention. 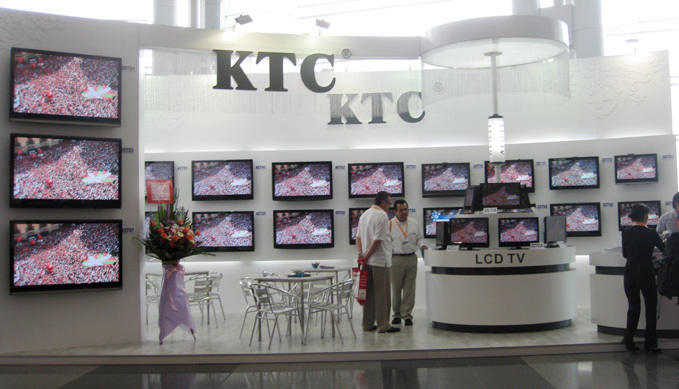 Meanwhile, a dozens of 15 to 55 inch LCD TV products are more popular in customers, winning extensive attention and consistent reputation. 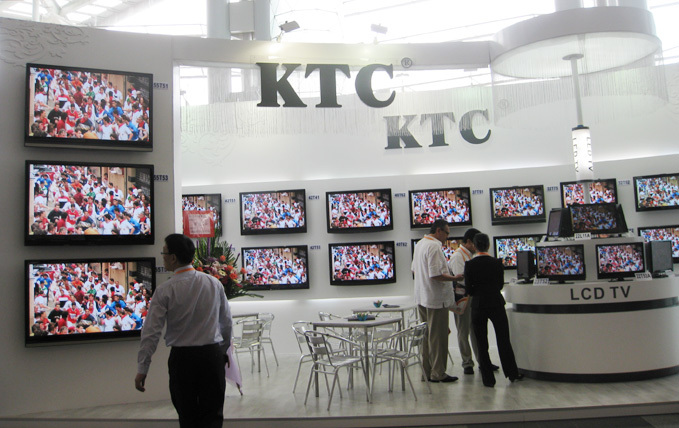 The whole design style of KTC exhibition booth is based on white, combing with simple, generous LOGO, and new TV Set products presenting the senses of technology and quality. The booth is full of sensation of generosity, youngness, strikingness and vitality. Participation in this exhibition not only promoted business expansion of our company, but also enhanced the market profile of KTC brands in the overseas markets.